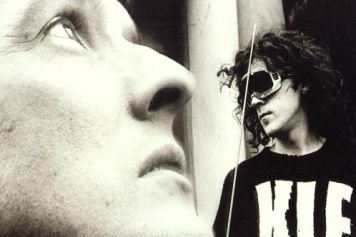 The Liverpool-based, Dadaist and punk-inspired career of the KLF (Kopyright Liberation Front) has been built upon a succession of industry pranks, beginning with the sample-heavy acid house movement of the late 1980s and early '90s. Essentially the duo of Bill Drummond and Jimi Cauty, the group began as the Justified Ancients of Mu-Mu (JAMS); later, a one-off stint as the Timelords resulted in a minor hit with "Doctorin' the Tardis." Never ones to hide their contempt for the music industry, at the point they struck fortune in England with the soulful hits "3 A.M. Eternal" and "What Time Is Love?," they refused to play the songs straight, instead asking grindcore favorites Extreme Noise Terror to be the backing band. 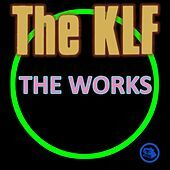 In addition to spraying crowds with faux machine-gun bullets and reportedly dumping a sheep's carcass in a hotel lobby, the band has also written a manual on how to write pop songs. They have since refused to release any more music until world peace has arrived.